Myulchi (멸치, dried anchovy) broth is the most frequently used broth in Korean cooking. It is used in soups, stews and even in variety of banchans (반찬, small side dishes). Myulchi broth is similar to chicken broth in Korean cooking.So, I thought it may be useful to cover the basics of making this broth. Some people replace this broth with water to simplify the cooking process, but it does make a huge difference in taste. Just make this broth in bulk ahead of time when you have a moment and store in the refrigerator or freezer… you will be one step closer to being a guru of Korean cooking. Heat an empty medium size pot on low heat. 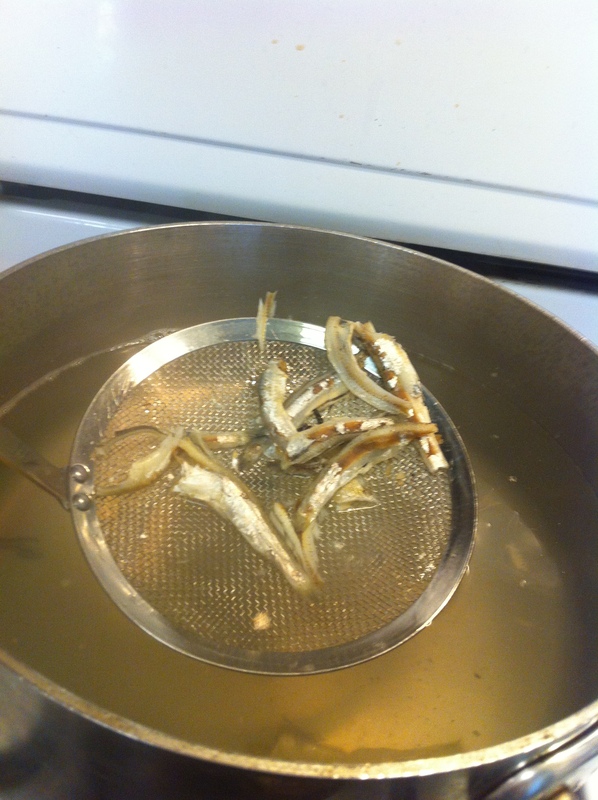 While the pot is heating, take off the dried anchovies’ guts (it is a simple procedure although it sounds gruesome). Most commonly, people take off the heads as well, but recently I have been reading that keeping the fish heads help enhances the broth’s taste. 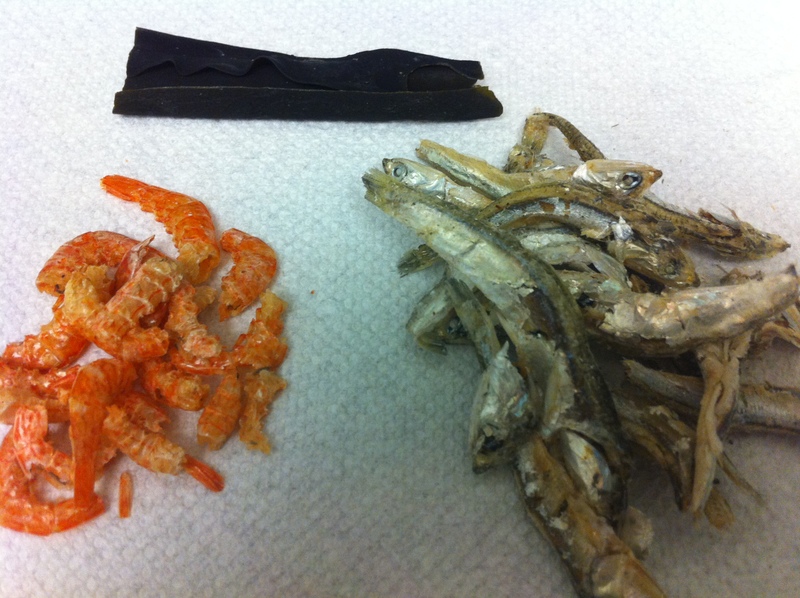 The black parts on the right side of the picture below are the anchovy guts. Pour cold water into the pot and raise the heat to high. Place the kelp in. Do not cover the pot with a lid (this also helps to get rid of possible fishiness of the stock). 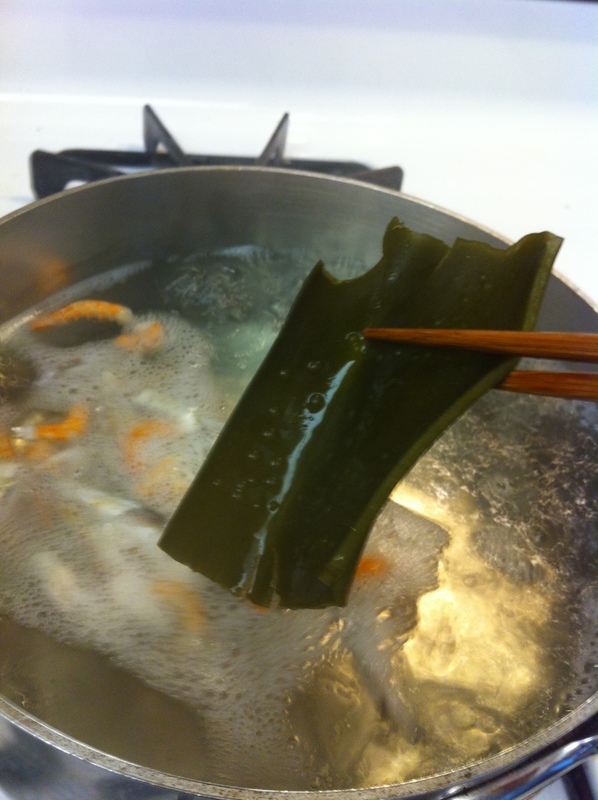 When the water starts boiling, take out the kelp. Boil the stock for another 10 minutes. 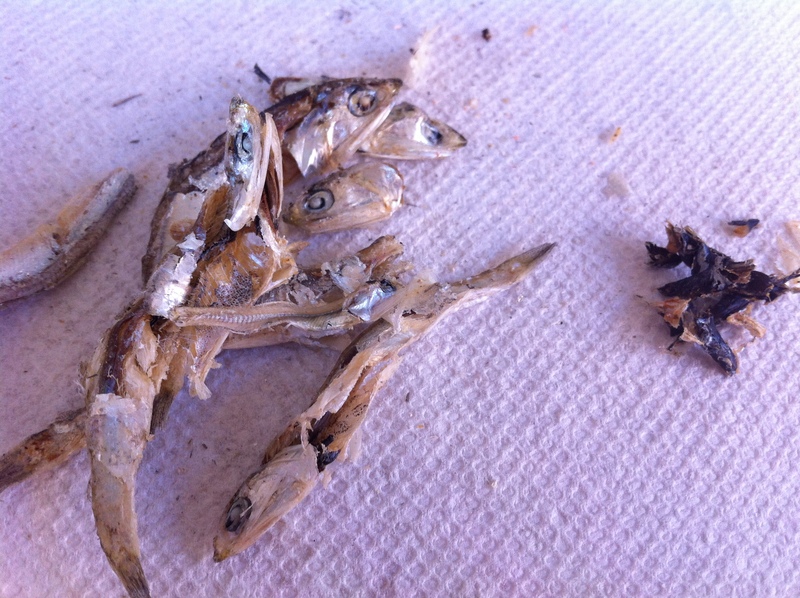 After the fish stock has brewed, take out all the anchovies. This entry was posted in Banchan (반찬, Side Dish), Seafood and tagged Anchovy Broth, Broth, Myulchi Yuksoo by gangnamkitchen. Bookmark the permalink. Thank you for this recipe. Most recipes that I have found for Myulchi broth only have 5-large dried anchovies and a piece of konbu, which I never found to taste like anything truthfully. Following your recipe of using more anchovies, along with the addition of shitake mushrooms and dried shrimp, makes for a most delicious broth that has a lot of depth. I am so happy to come across your blog. Take care! Thank you so much for your kind comment, Rhonda!